They were great at getting it all started and caring for my mother. They have been very flexible with us. It has been definitely outstanding because I'm able to know my dad is being looked after. I'm able to not have to worry and take care of other responsibilities that I have. They are very dependable and their employees are very professional. My loved one enjoyed the personnel that came to work with them. They enriched my loved one's life. I'd say they are reliable, but expensive. The care allowed me to go to work and be confident that my loved one would be well cared for. I like that they had such a personal business. The main caregiver was an absolutely perfect match for us. My mother looked forward to their visits, and she is not an easy person to get along with. I liked the fact that their owner came out. I thought that it was excellent that they took the time to do that. They have a positive impact. They are consistent and dependable. We have to look up the information on the computer every day, put all the information into the phone, and then share that information with the family. Instead of making it, easy there are now huge giant steps we have to take. They could improve their website and their family calendar. It's a hands-on website for clients, and on the family calendar, I can see the time slots that have been filled in by their caregivers and I can also insert notations. I can see all the information if I'm on the computer, but I can't see the caregiver's names if I am using my phone. I don't sit at my computer all the time, so I would like to be able to see that information from my phone. The aide that they sent me is very caring, but she could have taken more initiative. Their fees are a little high. I can always get someone whenever I call. They are responsive to whatever I ask. I have a relationship with the owners as well. They have helped by just being here and helping out with the daily tasks. She is prompt and very reliable, as well as consistent. They helped me with my home care, and that was outstanding. I have recommended them to home care nurses. They were nice to me, they fit my needs, and they had reasonable pricing. They should train the staff to help old people know what to ask for when they come. I didn't know how to use their services and didn't know what was available to me. It is a huge relief knowing that there is someone there so that I do not have to worry about my loved one. I think that the people who have been over have tried very hard, especially the current caregiver, to get my loved one to do things without forcing her. However, they are willing to do whatever they need to do for her and I truly believe that they care about her. I enjoy the personalities of the caregivers. It makes me feel very cared for. They care for me and do things that make it comfortable for me. I am very pleased with the staff and the two caregivers we've had so far. It's made my life easier because I don't have to be there at my parents all the time. They're very organized and caring of their caregivers and clients. I'm in a wheelchair and my husband sometimes travels in the evening, and the agency always provides caregivers in the evenings who are capable of whatever I need. If a new caregiver comes in, then the agency will introduce and train them. The people were very attentive, and they were flexible with my schedule. When I needed someone last minute, the office found me someone right away. My family felt very confident in my health. They knew that the caregivers were experienced. The services were a blessing to both me and my family because I was able to sleep in peace with someone watching over me. Aware Senior Care was amazing during our difficult time. I would highly recommend them and would use them again. My mom received the highest level of care with a personal touch. I cannot speak high enough about Gina, the owner, went above and beyond. I would tell a friend that Aware Senior Care was excellent because they took such great care of my mother-in-law. Aware Senior Care made life easier because the family had to provide 24 hour care for our loved one and they took over the care for us. I have nothing but wonderful things to say about Aware Senior Care. Aware Senior Care seems to have their act together and they are responsive to our needs. They meet and exceed expectations. It has made my loved one's life easier by giving him a constant contact with people, since he lives by himself and I cannot be there all the time. 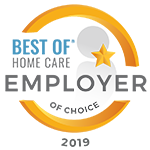 I would recommend Aware Senior Care because because the owners are personable and they provide the proper care for my loved one. Aware Senior Care is able to come through every time. I can count on them and they make sure they work hard to accommodate our schedules. Aware Senior Care has provided excellent services and very responsive. Aware Senior Care makes mom's life easier because the caregiver is very conscientious and takes care of her. I would tell someone that Aware Senior Care has been very attentive to our needs and scheduling. The people have been very well-trained from Aware Senior Care, and they do a good job. Aware Senior Care has been good with my loved one, and she seems to like the girls that come. I hired Aware Senior Care because I had a voucher from them, but I may not be able to hire them again as they don't accept medicaid. Aware Senior Care has had a positive impact on my loved one's life. I would tell a friend that Aware Senior Care has management and supervisors who are receptive to work with you. Aware Senior Care has made life easier by providing the day-to-day care with my loved one and I can trust that things will probably get done. I would tell a friend that Aware Senior Care is very flexible, and they are very efficient. They do what they say they are going to do. Aware Senior Care make sure that my mother takes her medication. Aware Senior Care's owners have a personal interest in the care of seniors. The services we received from Aware Senior Care made life easier for us. They had flexibility with changing schedules and changing our caregivers. We had some problems with the caregivers that came from Aware Senior Care. We had to replace a lot of them before we finally found one that was industrious with her services. Aware Senior Care provided one caregiver that brought her 9-year old son and left him in the car. We had another caregiver that did weird things in the kitchen. We had to keep eliminating caregiver after caregiver. I would tell someone that Aware Senior Care is very reputable and dependable. The services were essential for me because I had just had brain surgery. Aware Senior Care is easy to work with, and the client is happy when they come in. The services make it easy for me knowing that someone is there to take care of the client in the morning. The people that Aware Senior Care has working for them are very nice, cooperative, and always on time when they do things for me. They know what they're doing. I have a bad back, and I've had several surgeries on it. Because of that, I can't wash my clothes or do anything with it. I'm very particular about how my clothes are done, and I've never had a problem with the way the caregivers do it. 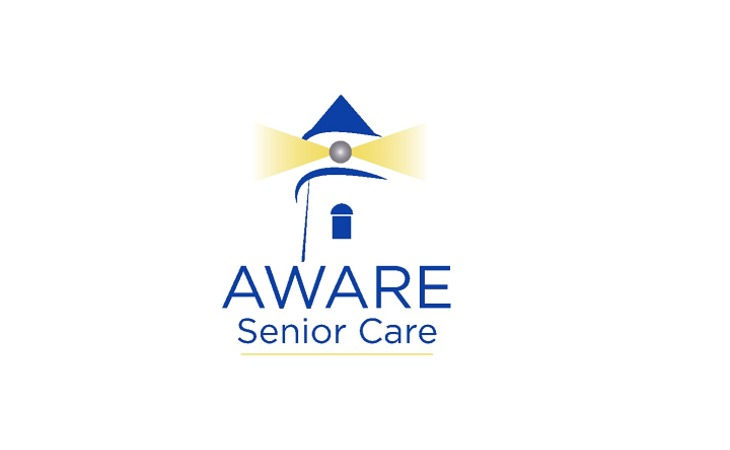 Aware Senior Care's management was very responsive and the person that did the assessment was very nice. I wish there had been a discount for people who paid by the week ahead of time. The service was great, but it was ridiculously expensive. Aware Senior Care has good owners and good people working in the office. They are understanding and easy to work with. They are honest and ethical. Aware Senior Care was there to provide companionship and give him his meals. Aware Senior Care was very trustworthy and compassionate, and the caregivers were very timely and caring. The services helped me do a lot of things for my husband, and they were very dependable so I could have some relief from caring for him. Aware Senior Care's service is a great value. The services are average to above-average. It is helpful that the services have prevented me from worrying about my father's hygiene care. Aware Senior Care is prompt, thoughtful, and they do what they say they are going to do. Aware Senior Care makes my life easier by being able to get things cleaned up. I can't walk very much and they are wonderful. Aware Senior Care is very punctual, very friendly, and very helpful with whatever you need done. The caregivers come in and do odd little jobs. They help the client get dressed so we can go to breakfast. They make the bed, clean the CPAP, and take out the trash. The helpers from Aware Senior Care are all very good, and I have been very pleased. I am in a wheelchair and I have a large cast on my leg, so I can't do a whole lot. Someone has to help me go to the bathroom, and I couldn't get along without them. Aware Senior Care is what I expected and they do what I expect them to do. I couldn't take a bath without Aware Senior Care. Aware Senior Care tailored the proposed care to my loved one. One of the services Aware Senior Care provided was bathing my mother, which as her son, I did not want to do. The owners took a personal interest in my mom and that boosts her ego, as well as the caregivers and staff. Aware Senior Care have taken good enough care of my father that I am in the process of setting up care for my husband. The caregivers are not just caregivers, they appear to care about the people that they care for. Aware Senior Care hires quality caregivers, they are able to help my father without making him feel that there are special arrangements set up for his care. It just feels natural. Aware Senior Care has been available, I know that they are there for my father. They check on him and check on him when I can't be there; I can tell them if there is something in his care that we need added. Aware Senior Care is prompt and efficient in what they do. Aware Senior Care provides us with another avenue in helping monitor my mother on a daily basis. 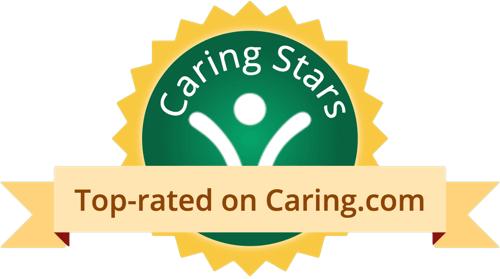 Aware Senior Care is very caring and I am very pleased with the caregiver that we have. They help a lot. The caregivers have helped the most by being well-trained to help my husband. Aware Senior Care has good services because the caregivers are kind and knowledgeable. The services improve my life because my caregivers help me with my daily chores. I would tell someone that Aware Senior Care is trustworthy, that their staff is well trained, and that there is a lot of camaraderie with the office staff. The services make my life much easier. I would tell a friend that Aware Senior Care assists my dad with bathing once a week and they do a great job. Aware Senior Care has made life easier by helping my dad when he couldn't help himself, allowing him to live independently. Aware Senior Care has been very easy to work with. It is easy for me to get a hold of the office staff, and I can contact the owner directly. We have been very satisfied with Aware Senior Care. It is really helpful that Aware Senior Care has been able to provide the same caregiver to my mother. My mother really likes her, and I am glad Aware Senior Care has not sent anyone different. Aware Senior Care has been very good. They are reliable. I live far away and I have to have someone I can trust will be there when my aunt needs them. Aware Senior Care has made my life easier. It's given us peace of mind that there is someone there at night to help the client. Aware Senior Care is very reliable and I had consistent caregivers, which is important to seniors receiving care. I could see that they had quality processes in place. I liked that they had my mother sign after the visits to affirm that she had received care. Following surgery, my mother needed eye drops and she could not have done that by herself, so Aware Senior Care helped her and allowed her to stay in her apartment, without an interruption in her day-to-day life. Aware Senior Care is very personalized. Aware Senior Care gets to know the client's needs well. Aware Senior Care is professional and meets their commitments. Aware Senior Care caregivers do exactly what they say they would do. The caregivers help my wife in the evenings to bathe her, do light housework, and keep her company. Aware Senior Care is very engaged with their clients and caregivers. We found a caregiver from Aware Senior Care that Sue bonded with and is very excited to be with. She is a nice friend and companion and cares about my loved one's needs. Aware Senior Care has helped me very much. The caregivers are wonderful and kind and very thoughtful. They are all doing a great job. All caregivers are outstanding. Great service provided. We highly recommend Aware Senior Care. We could not ask for any better services. The owners, Gina and Jim, are very pleasant and easy to work with. Promptness, willing to please, professional and knowledgeable. The caregivers have been excellent. They all go above and beyond the call of duty. I appreciate their attitude and willingness to make me comfortable. Overall, I'm pleased; however, there have been several times the help have not arrived at 5 PM. Aware Senior Care has some good caregivers and some poorer ones. The services help me get dressed because I have a broken arm. 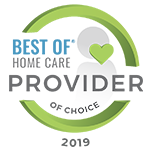 The care from Aware has made a positive difference because they are able to help the client with her ADL's. By Michael & Kathryn G.
Both of my wife's caregivers connect well with her. They are pleasant and loving in every way. Having Aware Senior Care look after and care for my wife leaves me without worry. I am very pleased with their services. Mike it's been a privilege to be part of the family and care for Katheryn. Thank You! Our caregiver is very caring and genuinely concerned. I trust Aware Senior Care to be honest and trustworthy. I don't worry about anything when the caregiver is here. My caregiver always has a smile; dumps my trash and other little things. I was impressed with the quality of care I received. They always ask if there is anything else I need help with. Aware is personal and professional and they provide excellent care. I will be calling them again. Gina and Tim really do care about your loved ones and will do anything in their power to make sure they are well taken care of and made as comfortable as possible. They will always have staff at your home to provide the necessary services for your loved one. Thanks Rick. We so very much enjoyed caring for Chris she's wonderful! I have been very pleased with our association with Aware Senior Care. I have used Aware Senior Care to care for my wife, who has Alzheimer's, for almost two years. I feel that she has received excellent care thus far and I would recommend ASC to any family that needs in-home care for a family member. Thank You Keit. It's been a privilege caring for Jane and being part of your family! 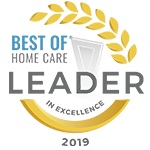 Aware Senior Care is an in-home care provider serving Cary, North Carolina and the surrounding area. Aware Senior Care offers non-medical services in the home, such as meal preparation, housekeeping, and transportation. Contact the provider for more details on home care services and rates. What should caregivers and potential clients know about Aware Senior Care?